New, bigger Relax Zone Visit our new pool overlooking the Tatras! 14 pool basins, over 300 meters of water slides in total, geysers, water cannons, Jacuzzi, artificial waves – it all guarantees a great dose of water fun and fantastic relaxation time at Terma Bania. Most importantly, you can enjoy our attractions at any time you want, because all of them are available regardless of the weather and temperature outside. Relax Zone is a place for those, who look for serenity and quitetness. 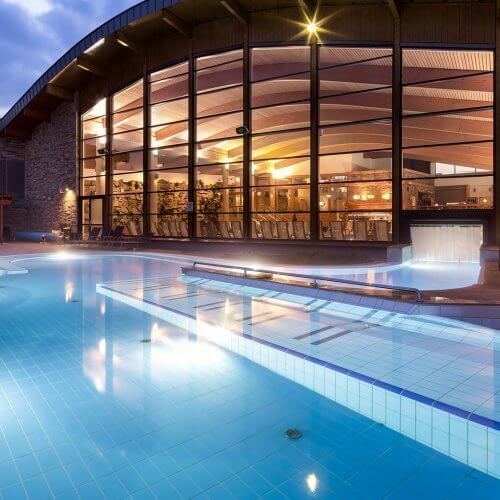 It offers leisure in an extraordinary mountain area with a gorgeous view at the High Tatras. When we create our offer at Terma Bania, we devote a lot of attention to kids. Kids along with their parents can rant and rave in many spots, which were designed for that purpose. Is a place, where sauna philosophy connects with deep relaxation and quietness. 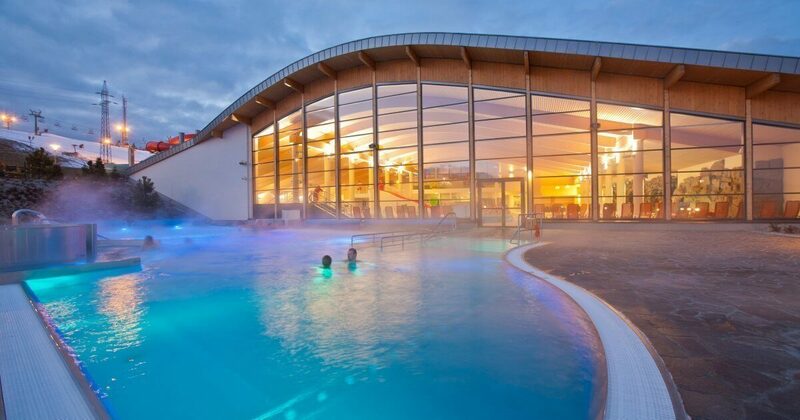 The area of 1000 m2 hosts practically all currently available variants of sauna leisure, a pool with cooling water for swimming, relaxing pool, saline graduation tower and jacuzzi. 15-17.03. Weekend za pół ceny! Dzień Kobiet za 29 zł OPEN bez limitu!